While I was still in secondary school (Hello BMJS fam!) , we had to memorize the book of Romans chapter 12 because it was like the school's official bible passage. I never actually got to know it completely, but I knew the first two verses, even at that, I never took it seriously. My point is that, this part of the bible is not new or strange to me, I've always been familiar with it. However last week, something took me to that part of the bible again, why? I cant really say, but as I began to study, I started to see that it was way deeper than we thought, no wonder they wanted us to know it by force! 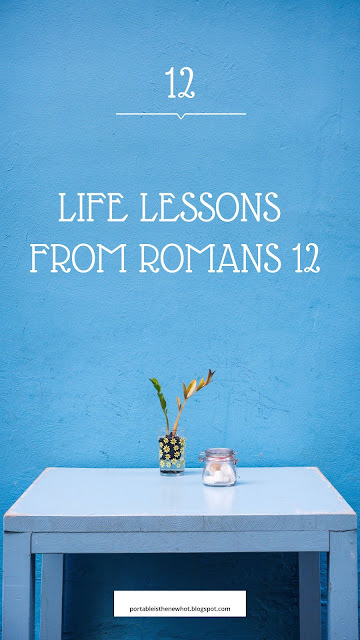 So for today's post, I will be sharing 12 life lessons from Romans 12. 1) Do Not Be Lazy: "Not slothful in business..." (Rom12:11a) Laziness will get you nowhere, you have no choice but to work and work hard. Can you believe it's November already? So surreal! I welcome you to the month of open heavens and I pray that the God of the 11th hour will visit you and perfect every thing that concerns you. Amen! 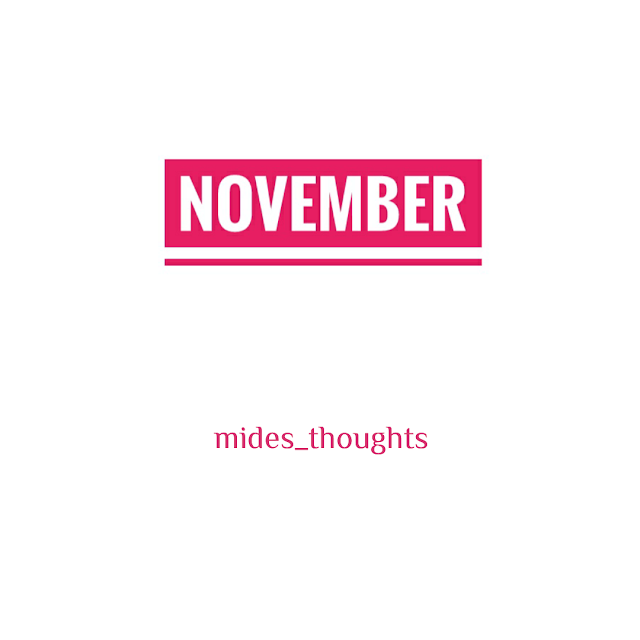 October was great in its own way, came with its own surprises and testimonies, no doubt it was a beautiful month. 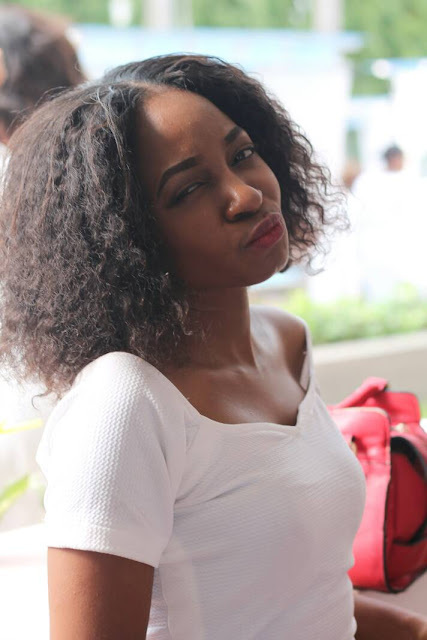 So I was nominated for the sunshine blogger award and I'll be answering the questions I was asked in today's post. The sunshine award is award for bloggers by bloggers, it is a way of recognizing and encouraging bloggers who they consider as inspiring and creative. a) Thank the blogger that nominated you and drop the link to their blog. d) Post a sunshine blogger award pictu're on your blog. I actually got a freelance job that has been taking all my time, (you know I'm a freelance writer right? Please help your girl to broadcast) I was working on a tight schedule so I couldn't really do much on here. I hope I'm forgiven? It's been a while, how have you been? As the year is gradually coming to an end, how are those goals coming along? Great I hope. For today's #mondayinspiration post, we will be looking at something very crucial to our success in life- personal development. 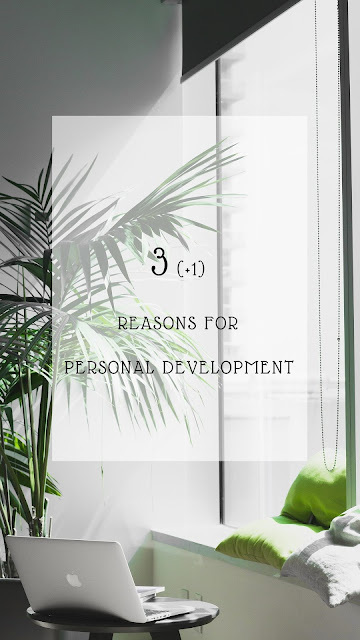 Everyday we spend alive is another opportunity to work on ourselves and develop ourselves, and I'll be sharing some reasons why personal development is important. In the past few days, my devotional has been talking about living a life of impact and a purposeful life. It went further to analyse some of those things that will hinder this development; things like fear. Fear is one thing that can conveniently destroy a person's life in a matter of seconds. I mean, yeah at some point in our lives, we all get scared of various things, death, failure, betrayal, etc. These fears will always be there, but how do you turn the situation from that point of vulnerability to a point of action? In today's post, we will be looking at some fears that we should not be distracted by. 1) Fear Of Not Succeeding: This fear is so crippling that we may even get carried away with the success of others, that we forget to focus and work on our own. We get almost obsessed with the pace of another person's success that it becomes a pressure on us. Don't let the fear of not succeeding distract you from the main goal- your success. Oh, and you might want to stick around till the end, there's a mini giveaway happening. How was your week? Awesome I hope? Mine was very brain-taksing, but I loved it! A few days ago, my dad sent me a whatsapp broadcast message which is even what prompted this post, so not all those messages are unnecessary, but I digress. 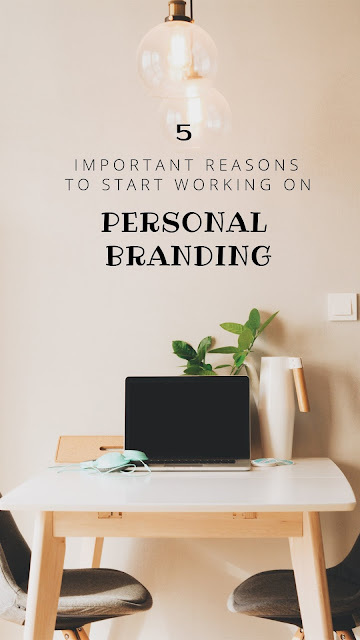 This message talked about how valuable personal branding is in our society today, and whether we like it or not, we all have our personal brands in one way or another; your social media platforms, skills, portfolio, your CV, all of these sums up your personal brand. Welcome to a new week guys! Thank God for the past week, now it's time to crush some more goals starting from today! Now let me ask you, what affirmations did you make this morning? What positivity did you speak into this week? 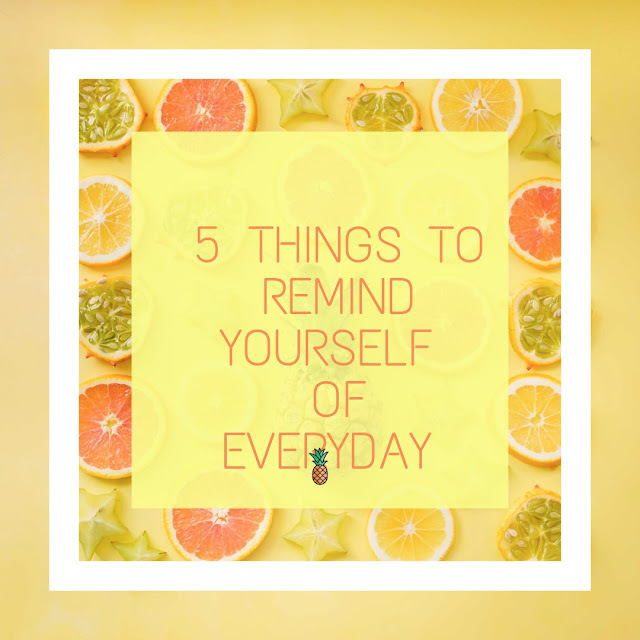 What things did you remind yourself of? Oh, you didn't do any of these? You need to! During the weekend, in one of our devotions, my dad raised a question that struck me like literally, he asked "why is it that some youths won't be rich?" We all answered to the best of our abilities, but that question refused to leave me alone. It was then I realized that there are certain things we need to constantly remind ourselves of everyday that will then prompt us to action. Welcome to the month of double grace, May we continue to experience grace everyday of our lives. It was real quiet here last week, but I hope you caught up with all the posts till date because we're moving forward from this week! 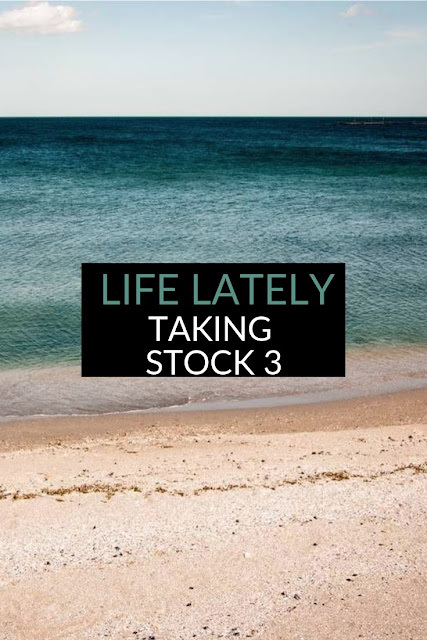 For today's post, we're taking stock, I know you were probably expecting a #mondayinspiration post, but not to worry there are many more of those coming your way. For today, let's get personal a bit and chat a little. Shall we? Wondering: How september went by so fast! Honestly, I can't believe we're just two months away from the end of the year. Reading: 'sans famille' one of my french literature books. It means 'without a family', it's about a young boy who had to move from one family to the other. Pretty emotional and interesting. Watching: Prison break from the very beginning. How come nobody told me about that series? It's so interesting and addictive, ugh! 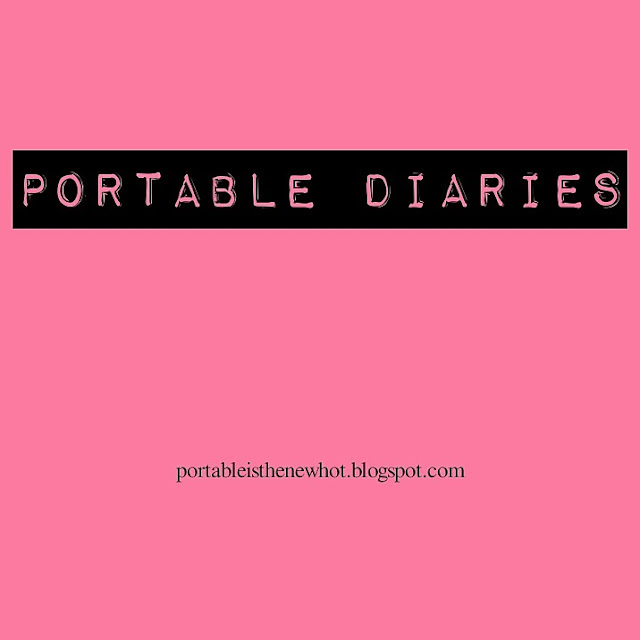 Long time no portable diaries! Don't mind me, I've been so focused on other things. Thank you so much for your love on my last blog post , you guys are amazing! Don't worry when I can, I'll try and take some nice pictures from time to time to include in my posts. That said, being a portable person has it's pros and cons just like every other thing in life, and today's post is going to deal with some of the cons. I've been asked some of the weirdest questions as regards my height and honestly, sometimes I'm just speechless because I can't really fathom why someone would think it's absolutely normal to walk up to a person and ask them certain questions. NB: THIS ISN'T SUPPOSED TO BE A SAD OR BITTER POST, SO FEEL FREE TO LAUGH TILL YOUR STOMACH HURTS😉 I'M DOING THE SAME HERE! 1) DO YOU HAVE A MEDICAL CONDITION? #mondayinspiration || 7 LIFE LESSONS FROM #GIRLBOSS + STYLE! I was actually thinking of putting up this post next week monday because I didn't think I was strong enough to post at all throughout this week, but here we are by God's grace! I'm currently recovering from another extraction- yes guys, I had another one, and apparently this time I had what is known as 'pericoronitis'. I'd spare you the full details, but just know that the aftermath involves a swollen mouth, painful swallowing, soggy meals and all round discomfort! I'm getting better now though, how was your weekend? For a very long time now, I've been looking to read the book 'GirlBoss' by Sophia Amoruso to no avail, and I heard it's an amazing book which only made me more desperate. So imagine my joy when one of my blogger sweethearts Laitan, tweeted that she was currently reading it. You best believe I wasted no time in asking and she sent it to me, such a darling! It's style personality o' clock guys! You know how I get very happy when it's that time. 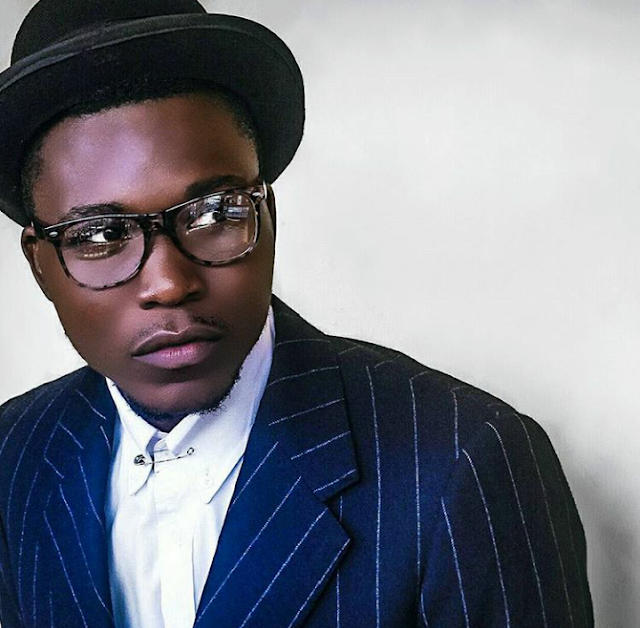 Today's post is very exciting because, our guest is one very stylish man! He also happens to be very nice and receptive, even though I got to know him through a friend, It was a smooth and friendly exchange eventually. Okay, I want to give you all the gist about him and his style, but you'd have to find out by yourself in a bit! I hope you enjoy this interview. A: Hello! Can you please introduce yourself? K: Hello, my name is kessiton osamudiamen Ehigiator. 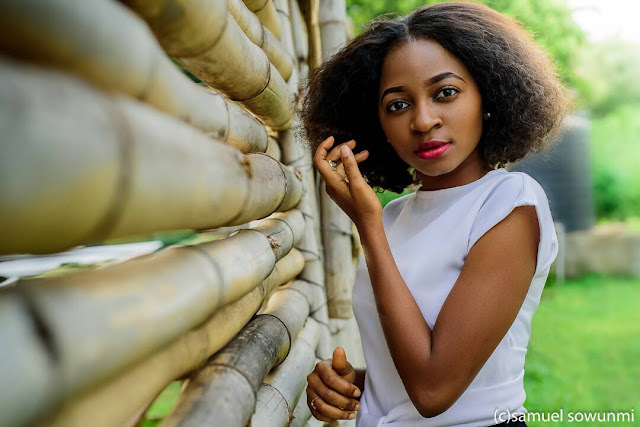 I'm a style/lifestyle blogger and a budding Agriculturist. I hail from Benin city in Edo state 🙂. A: Budding Agriculturist, I like! What's your personal definition of style? K: Style for me is something that encompasses your personality and makes an introduction for you even without you saying a word. 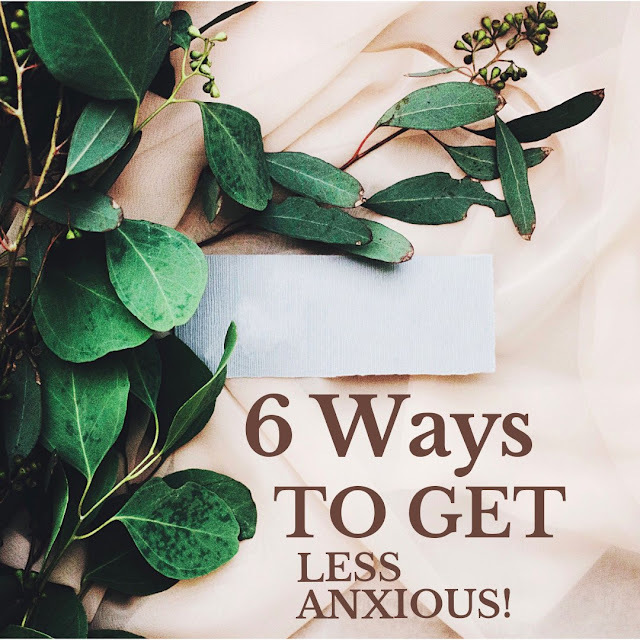 #mondayinspiration || 6 WAYS TO GET LESS ANXIOUS! I actually did miss writing and that is why great content will be coming your way this week starting with today's #mondayinspiration! You're probably wondering why we're talking about anxiety today, I mean it's never that serious right? Oh, but it is. Being anxious starts from getting overly worried about the little things like what skirts or pants you should wear to work, or how you're going to get through the week without blowing it. At some point, things get very overwhelming and they begin to take their toll on us. How then can we at least limit our anxiety? 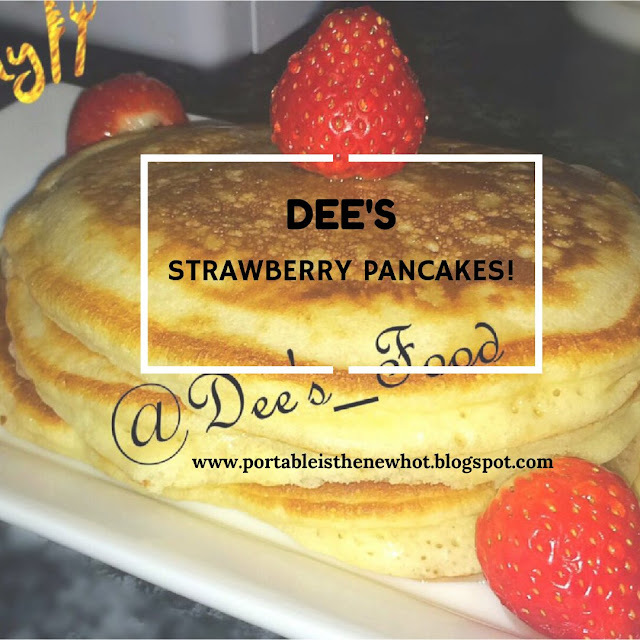 GUEST POST || DEE'S STRAWBERRY PANCAKES! Happy new month fambam, and Eid Mubarak to all our Muslims friends and families!! May things of celebration never cease from our lives. It's a long holiday, so you better get your pen and paper and let's pay attention! Enjoy! Pancakes can be one of the simplest meals to make however if the batter is not gotten right, things can get really messy and out of shape. So let me just jump right into it! The 2nd edition of the blogger point's brunch took place on the 27th of August 2017 at Laguna lounge and bar, central area, Abuja. Please I just have to take a minute to say that Laguna is one very beautiful place, my God!😍 it's spacious and the ambiance is just very peaceful and relaxing. It's a place to be indeed. Hi! I'm Aramide, a Portable Lady with dreams bigger than my body size. This is my little space where I share things that matter most to me, especially things that help to make us all better. I hope you like it! Get The Juice Here! Please Subscribe! Happy New month!! !🎉🎉🎄🎄🎄oh yeah Christmas is in view💃💃💃🍗🍖🍲🍜 and I'm so excited! Just like yesterday 2015 started and now 2016 is so close,I really thank God for everyone in my life including you guys and trust me when I'm counting all my blessings that I received this year,I'll be sure to count you twice because y'all are the best! 😍😍. Looking back at the past months,I can't but thank God because honestly it's been one heck of a ride😝😝 but I can say confidently that this has been one of the best years of my life. I mean it wasn't always smooth,I had my fair share of tears,stress,worries and all but you know what they say 'your darkest hour comes before your dawn' and so I knew God got me and that kept me going. I hope you all are doing great? Firstly let and say thank you for your participation in the Last Girls chat series and even for all the other ones as well, you guys are the best. So today I have whipped up another interesting yet controversial topic and to be honest, I think I'm loving the "question and answer method". I asked a few ladies what they thought about the topic and they responded beautifully, you'll be seeing that In a bit. So I was just sitting down when I started thinking about this topic. Now I believe that everyone most people go into a relationship with the hope that they will eventually marry the person. As they say "every relationship is a potential marriage" but does this mean that the roles of a girlfriend are the same as a wife's or are they different? Do you think that ladies who perform wifely duties when he hasn't even put a ring in it are desperate? Or the ones who don't are negligent and Proud? It's another beautiful year! 🎉🎉🎈🎈 Wasn't it just like yesterday when you were having so much fun with the squad in calabar? Eating cake and taking pictures? How time flies indeed! Now I know this past year has been a HANDFUL, believe me I know.